Joy...peace...home...children...these are the words that come to mind when Christmas is in the air. 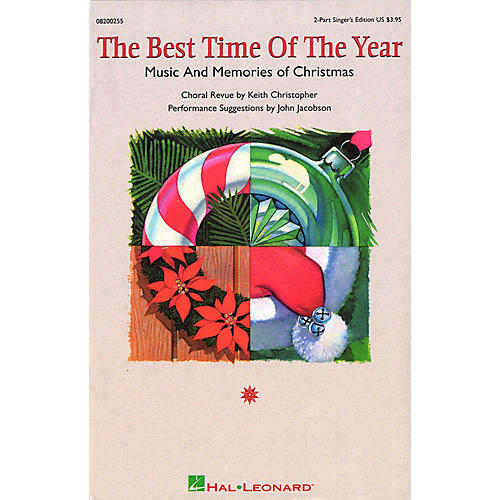 Celebrate all the special joys of the season in song with this choral revue arranged by Keith Christopher, with performance suggestions by John Jacobson. Featuring some of the most beloved carols and Christmas songs of all time, each section highlights holiday traditions both old and new. Enjoy an expanded orchestration that sparkles with Christmas spirit, performed live on CD or cassette. Best of all, the sections are flexible, so that you can create your own unique Christmas spectacular. Sections include: I. Opening, II. Tradition, III. Children, IV. Home, V. Joy, VI. Celebration. Available: SATB Singer's Edition, SAB Singer's Edition, 2-Part Singer's Edition, SATB Director's Score, SAB Director's Score, 2-Part Director's Score, Instrumental Pak, Preview Cassette (full performance only), ShowTrax Cassette, ShowTrax CD. Performance Time: Approx. 27:00.